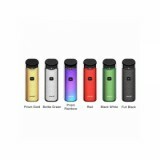 The Nord Pod Starter Kit is a perfect little thing from SMOK. 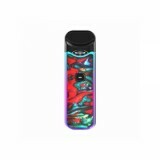 As many other pods, it has a built-in 1100mah battery for long using time. 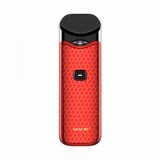 The Nord Pod Starter Kit is a perfect little thing from SMOK. 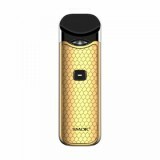 As many other pods, it has a built-in 1100mah battery for long using time. And if you compare it with other pods, you'll see that is has a bigger size and more comfortable hand feeling then many other AIO POD in the market. The duck-billed mouthpiece with a lip curve on it, so it will fit your mouth perfectly. Worry about the safety issues? No way! 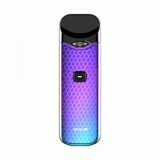 Because the SMOK Nord Pod designed with multiple protections ensure safe vaping. 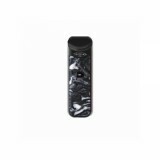 • We also sell the replacement SMOK Nord Replacement Pod and SMOK Nord Replacement Coil. 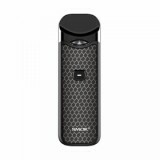 This is a device that got all the attention from people in the vaping world!!! Carter to both Direct Lung users with the 0.6 Mesh Coil & Mouth To Lung users with the 1.4 Regular/Ceramic coils. Size is decent(A little bit bigger than the Novo) but feels very solid and premium. As for the colors of the device.........B-E-A-U-T-I-F-U-L...!!!!! Shipping time is good i will say considering it is FREE SHIPPING :) , got the items I ordered in around 7-10 days. Overall very impressed with the device and the service from Buybest. KEEP IT UP!!!!! Arrived within 10 days to Serbia (Europe), I am amazed with service that Buybest provides. Smok Nord itself is one very great all in one device, mesh coils work great, and I still have to try out this m2l coil. Rainbow color is kinda girly, but nevertheless beautiful. I didn't expect it to have this shimmering glitter over the color finish, but I still love it. The more I use it, I feel like it will be my always carry, go-to device. Thank you Buybest for this great Christmas treat! Have lost count how many times I have ordered this device. It has been seeling like hot cakes. 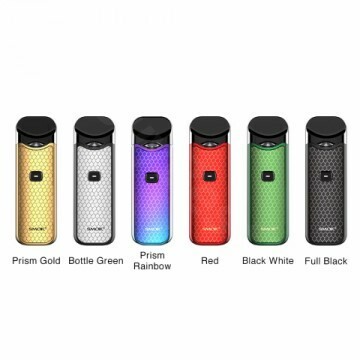 Definitely going to be on one of the top 10 pod device of 2019 by the end of the year!!! Super pod za dobrą kasę i szuka przesyłka. 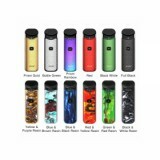 I have revied this pod system many times from many previous purchases from buybest. Hands down one of the most sought after pod system in the market right now!! !